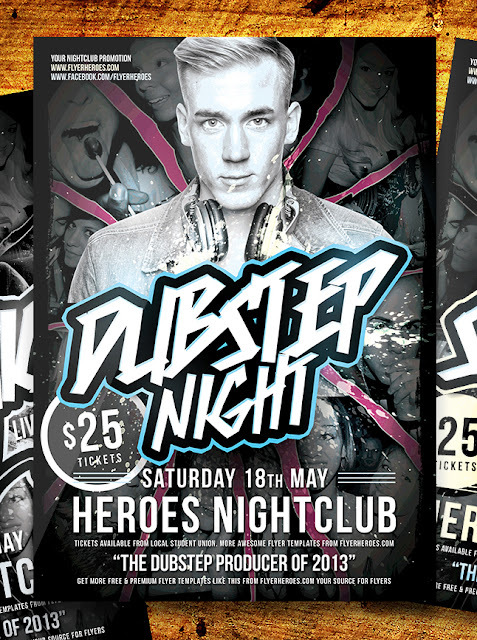 ''Dubstep Party'' is a bright, bold and energetic flyer template design with only several core elements – the title text, feature DJ image and footer text information. This simple set up makes editing this flyer super easy meaning you’ll have your very own flyer design in just a few minutes! The header feature image is set up in a Photoshop Smart Object . All you need to do is paste in your image to the Smart Object container and hit save. As usual, all layers are fully editable and well organised. You needn’t only use this free flyer template for dubstep events either! It would suit hip hop, R & B, rock, dance and any other form of modern music very well – so get it downloaded, open up Photoshop and get editing that PSD to your liking! What fonts do I need for Systemic?